NATIONWIDE DEALER AND INSTALLER FOR RAYNOR GARAGE DOORS. Since the brand’s founding in 1944, innovative ideas, an experienced, dedicated workforce and a true belief in high standards and honest business principles have helped Raynor set the garage door industry’s standard for excellence in manufacturing and servicing garage doors and openers. In the 1950s, Raynor made a conscious effort to maintain close, responsive relationships with the growing number of Raynor dealers around the country. The company continues to keep these relationships strong to this day. In the 80s, one of these dealers – Raynor Door Authority – opened its first location in Denver, Colorado with the mission to provide professional sales, installation and service solutions. 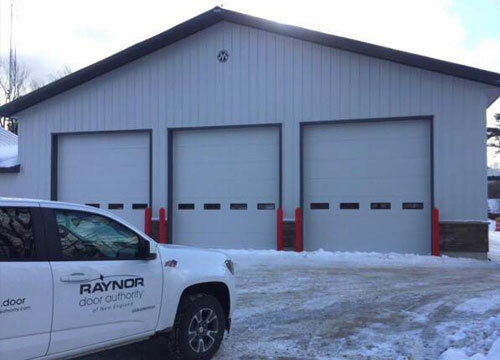 Today, Raynor Door Authority provides sales and service to the residential, commercial, and industrial markets from its eight locations across the United States and Canada. When you choose Raynor Door Authority, you’re not just getting a superior product – you’re getting professional door installation and service expertise. All Raynor Door Authority employees go through our strict internal training program, which promotes the highest standard for safety. Also, our processes are standardized, which translates to a smooth, efficient installation for you. Our certified technicians check your door for everything from safety to performance to appearance, ensuring your door will deliver performance and reliability from the day it’s installed.